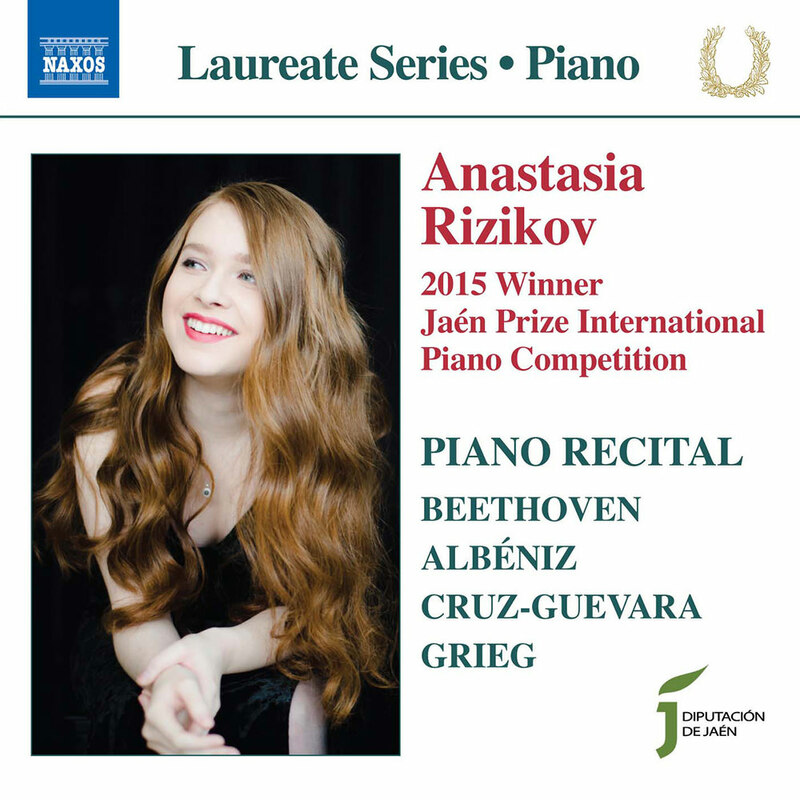 Canadian pianist Anastasia Rizikov topped off a string of career awards in 2015 with a gold medal at the age of 15 at the Jaén International Piano Competition in Jaén, Spain, resulting in this debut recital album. The Toronto-born Rizikov delivers sparking interpretations of Albéniz’s radiant and virtuoso Triana and the piece commissioned for the competition, Soñando María Magdalena, which transforms the traditional Jaén melody La carrasquilla into a tender and powerful personal journey. The programme is completed by the disquieting beauty of Beethoven’s Tempest Sonata and the breathtaking energy of Grieg’s only work in the same genre.